Natural is always a great way to go, but when you're feeling like getting dolled up, I've got you covered! This has been a highly requested video for some time now! 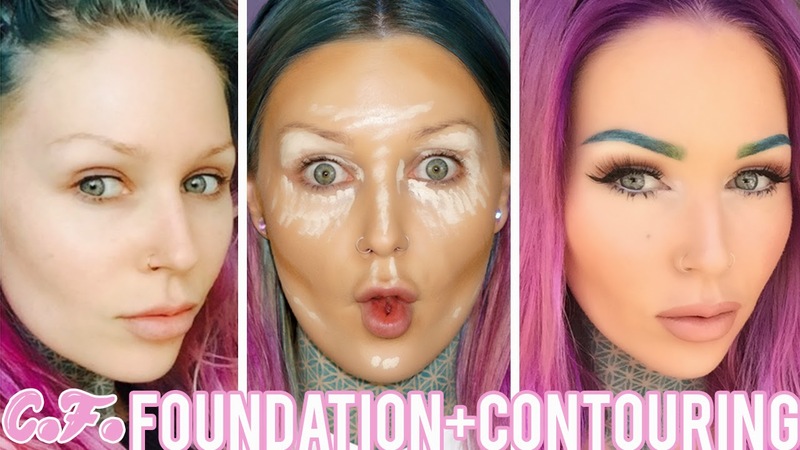 I created a foundation routine video when I was in Belgium last year but unfortunately, every single beauty product used in that video gets tested on animals, and being that I now ONLY support brands that do not test on animals, I had to make an updated video! I also wanted to throw a little of my countering routine in here as well, as that's been requested a lot recently. I've been noticing a lot of your comments on social media and youtube saying that I've inspired you to change how you buy your beauty products and that is just so exciting and makes me happier than I can even express through a computer screen!!! Thank you for caring, altering your buying habits to help save animals and spread a good message and thank you for sharing it with me! I am so proud of you guys! The Kat Von D range is not available in Australia and the shipping costs via amazon and ebay are a bit steep, is there another product you would recommend that is accessible in Australia? The kat von d range us not available in Australia and the shipping costs through amazon and ebay are a bit steep, is there another product you would recommend that is accessible in Australia? You are misinformed love! Please go read the FAQ on their website.